Packed with nutrients, a single apple counts as one serving of fruit in a daily diet plan. The soluble fiber in the apple provides a feeling of fullness, which can help with weight loss and recovering from weight loss surgery. An apple has 14% of the recommended daily allowance of vitamin C.
An apple contains approximately 95 calories. 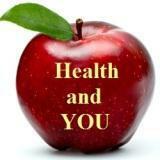 Antioxidants and pectin in apples are believed to further help people lose weight. Antioxidants within apples have been shown to help prevent cardiovascular disease in studies performed by Florida State. In addition, metabolic disorders have been linked to increased cardiovascular disease, and eating apples every day appears to decrease the risk of developing a metabolic disorder by up to 27%. Levels of a C-reactive protein in the blood also appears to lower when apples are regularly consumed, which is important because high levels of C-reactive proteins cause inflammation and can increase the risk of heart disease. People who regularly consume apples also appear to have a lower risk of strokes, according to Finnish researchers. The fiber in apples helps lower cholesterol. The apple’s antioxidants further help prevent LDL cholesterol from oxidizing. It is believed that consuming two apples per day may lower cholesterol by as much as 16%. Studies indicate that the pectin in applies helps prevent colon cancer. The fiber also aids in improving colon health and preventing irritable bowel syndrome. Pectin in apples helps the body produce high levels of galacturonic acid, which naturally lowers insulin in the body. Studies have also found that consuming one apple a day helped prevent diabetes in women. A Cornell University study found that brain cells might be protected by increased apple consumption. The quercetin within the apple prevents free radical damage in brain cells. Antioxidants within the apple also aid in keeping the brain cells from suffering damage.